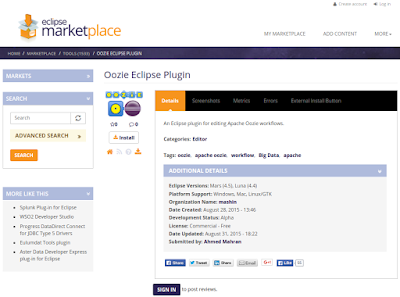 What version of Eclipse do you use? Can you confirm that the plugin is installed? 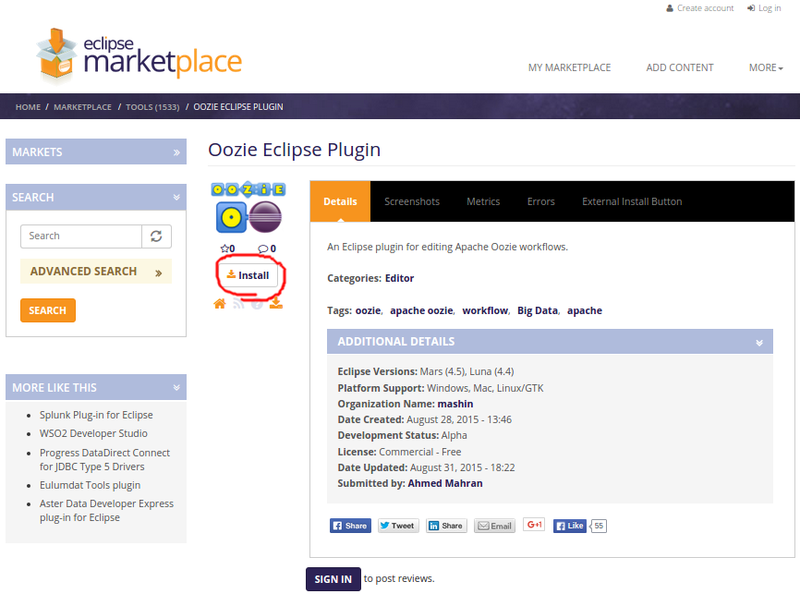 For example, in Eclipse Luna, go to Help -> Installation Details and search for "oozie"
I've got the same problem, I can't view the Apache Oozie within the Editors list neither within the File->New->Other menu. Have you resolved your problem since ? 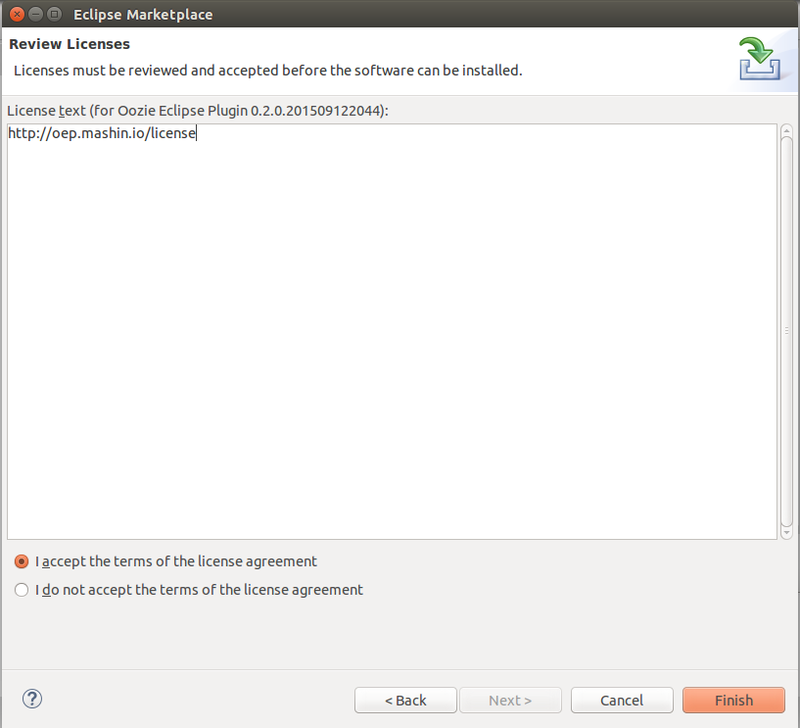 I've tried Eclipse Luna SR2 (and Mars) with Java8 as expected, but without any success. Can you check whether the plugin is among the installed plugins you have or not? 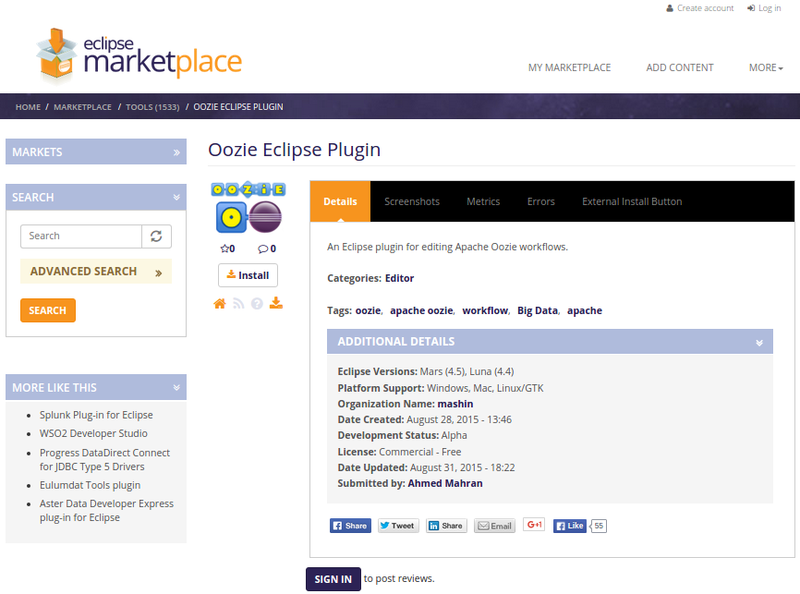 For example, in Eclipse Luna, go to Help -> Installation Details and search for "oozie"
Yes the plugin is installed. 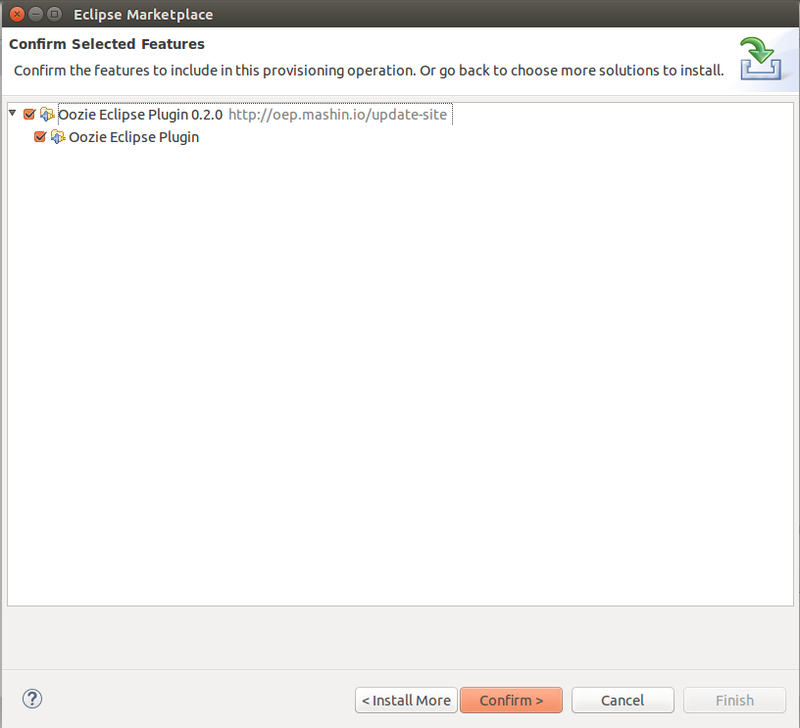 I installed the plugin, or atleast tried and during install, it errored out with below error. This was on Eclipse Luna. 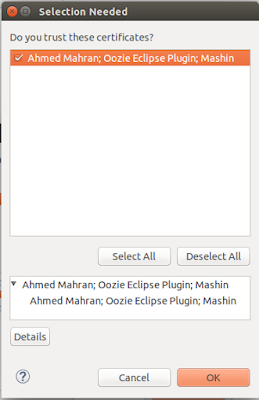 I have installed the plugin but i cannot find the view for it. Plugin shows in the installation details. 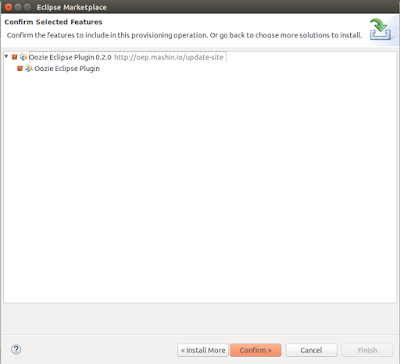 I have installed the plugin in eclipse mars java 1.7. plugin shows as installed but cannot see it anywhere in eclipse. I think lot of people are facing this issue. 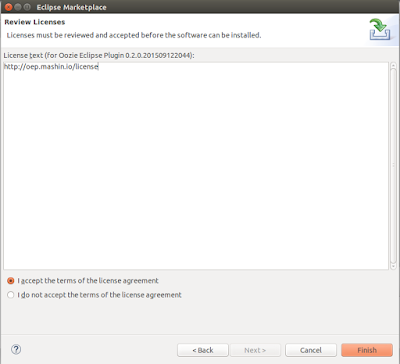 Can you please fix this issue or provide the details what are the compatible eclipse/java versions are. When I click "Confirm" it complains "No repository found at http://oep.mashin.io/update-site". Can you please help? It worked perfectly, many thanks.